This album should be taught in schools. Seriously. The album speaks out on homophobia, transphobia, white supremacy, and patriarchy. But more than any of that, with a depth usually reserved for philosophical literature, Things I Learned While Dying In Denver eloquently, poetically and poignantly — with a direct connection to the heart, brain and soul — reminds listeners to “know yourself and focus on your strengths” and the dangers of being “spiritually poor.” The tracklist alone reads like a wise list of positive affirmations and advice with song titles like “Be Kind,” “Work Hard,” “Bet on Patience” and “Be The Bigger Person in Every Situation,” among others. Steele, who is also an investigative journalist and was deemed “the future of independent hip-hop by VICE and URB Magazine” has been called the Radiohead of rap and the love child of Neil Young and Andre 3000. In the midst of a mainstream rap environment where Cardi B is singing about “million dolla deals,” and is about as real as her dagger-like fingernails, Steele is laying down verses that seem plucked from the stacks within the Boulder Book Store. “Pema Chödrön said it’s best to start where people are/Reflect on what you have so dialogue can start/You can’t have an orchestra if you don’t have a symphony/Everyone deserves a voice, develop and deploy empathy,” he raps on the record. Joined by his longtime cohort, producer AwareNess, aka Chavo Trejo, Calm. also stands behind the socially charged messages that the album tackles. After befriending and outfitting a homeless man while filming a video for the new record, the duo then saw the man pushed out by the so-called urban camping ban in Denver. So instead of making their album release party all about themselves, they turned the event into a coat and warm winter gear drive benefiting the advocacy group Denver Homeless Out Loud. 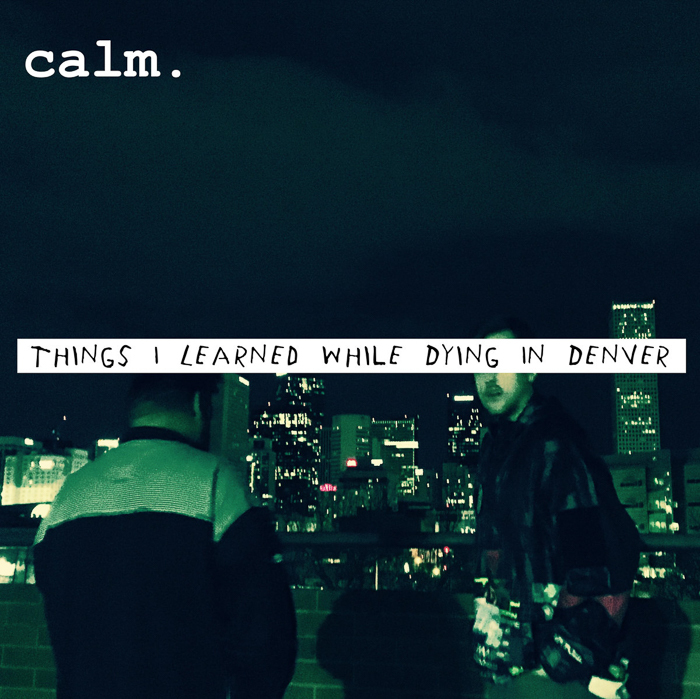 Things I Learned While Dying in Denver by calm.